As DECENT closes in on the launch of our second Testnet, “Alberti”, our expert team of professionals are kicking into overdrive! Recently, we welcomed 2 of our core developers from Armenia to our headquarters here in Bratislava, Slovakia. The visiting team members Vazgen Manukyan and Hayk Hayotsyan demonstrated their exceptional work ethic along with positive spirits and good vibes which helped bring us closer to our launch date. Our visiting core developers were hard at work when in the office, but outside of those hours they made time to experience the majestic sights, traditional foods and friendly hospitality that only Slovaks can offer (including Slovak most famous dish ‘Bryndzové halušky’ on more than one occasion). Additionally, Dr. Christian de Vartavan, the Head of Academic Relations at DECENT made a visit to Slovakia for the week. Christian was in town to give a presentation at the MEGATRENDS & MEDIA 2017in Smolenice Castle. His energy and pleasant demeanor is always welcome in our office. 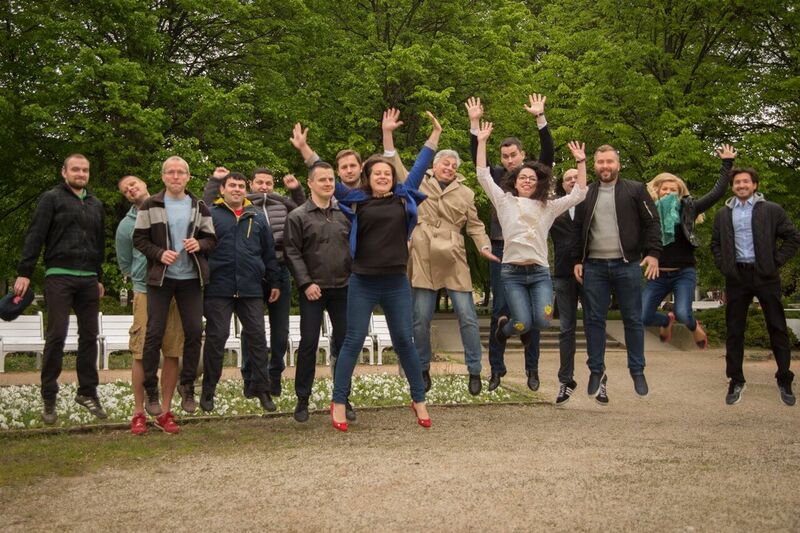 One morning we gathered as much of the team together as possible for a “walk in the park” before taking some impressive team photos, including one epic jumping pic courtesy of our UIX designer and photography enthusiast Juraj Jurik. It was great hosting our Armenian colleagues and having them join us during this exciting time as we prepare for the debut of “Alberti” and look forward to future visits from our international team members. Stay tuned for more DECENT updates by subscribing to our Newsletter and follow our Slack and Telegram discussions to see what we are doing next. As you can see our team is rapidly growing. We are currently hiring several positions. If you are interested in joining the DECENT Team review our career opportunities!